This timeless charm, made of smooth cowhide, shows your sense of style with the large embossed AIGNER logo in the classic horseshoe shape. A wide leather strap more than 4 cm wide was double over in this leather accessory and placed in a golden cap at the upper end which creates an oval strap. 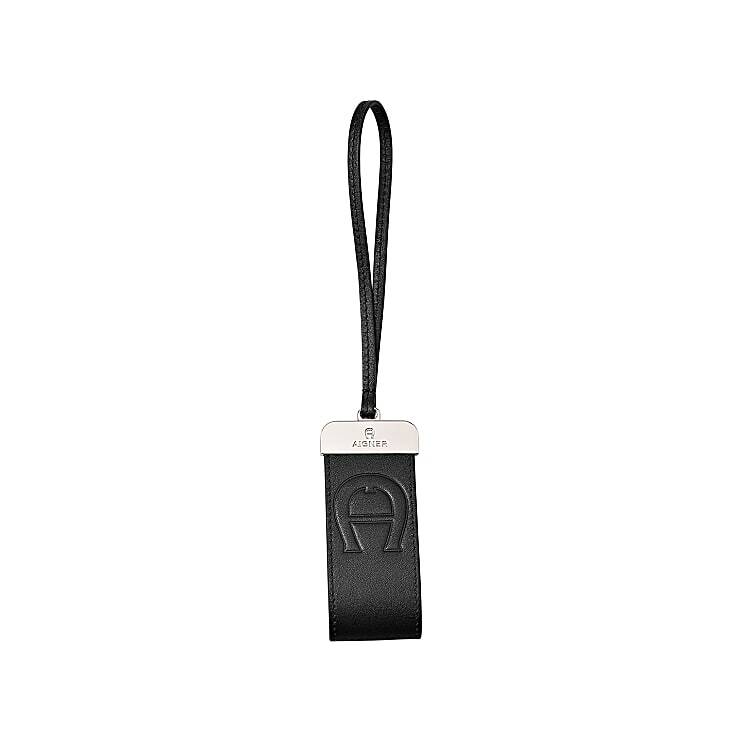 An additional leather strap is an attractive tool to attach this charm to a bag or key ring.